There was a time when man lived off of the forests for his needs and not his greed. He was content to fill his stomach and get a good night's sleep. Nature rewarded him with all that was necessary to satisfy his needs. As time marched on, he ravaged the earth to quench his greed's thirst. He pillaged and plundered mercilessly. Yet, as with all things in this universe, everything comes around in a full circle. Some at least, have begun to realize that the only way forward is to return to the ways of old. When man lived off of the forest he had to adapt to its ways and laws. He would respect the forest and her treasures, taking only what was necessary for his survival. He understood the fact that he was in a place where he had no authority and that he was at the mercy of the forest and its inhabitants. Yet he was able to feed for himself and preserve the treasures of theforest. The 'erumadam' is one such example. The 'erumadam' or what we today call a tree house was built by people who lived off of the forest by foraging for firewood and food. The purpose was to serve as a place of shelter from the harsh conditions and animals of the forest. 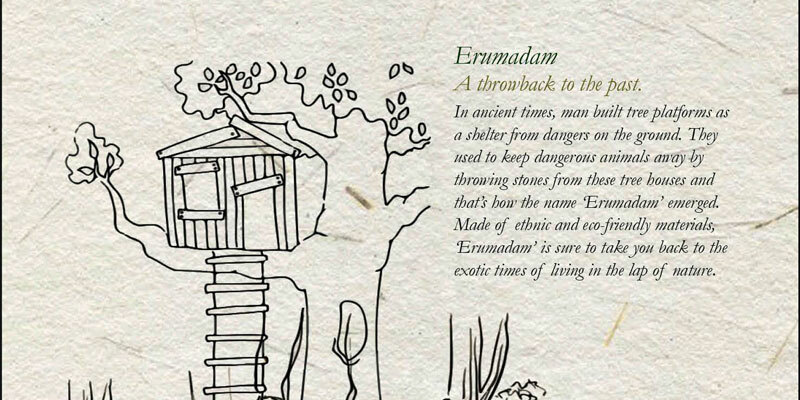 The name 'ermumadam' has its origins from the practice of pelting stones at wild animals whilst atop the tree house. 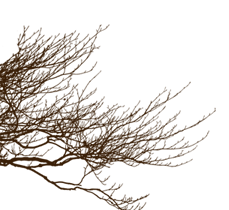 The word is a combination of two words 'eru' meaning to throw and 'madam' meaning a house. Literally meaning a house from which stones were thrown. This 'erumadam' was built using materials sourced from the forest and allowed the inhabitants to stay on for days as they collected vital resources from the forest. Very often it would be used by travelers who had to traverse through the woods to reach their destinations. They were built to serve any of those people who needed protection from the animals or shelter during their journeys through the forest. It was unique in a way because it blended right in with the natural beauty of the forest. There was nothing ugly or obscene about the presence of the tree house presence atop the trees. It merely resembled a large nest meant to protect and harbor life. The tree house or 'erumadam' was his fortress and yet it was man's way of peacefully coexisting with nature and yet managing to survive. The 'erumadam' was his protection, his home away from home, out there in the wild.